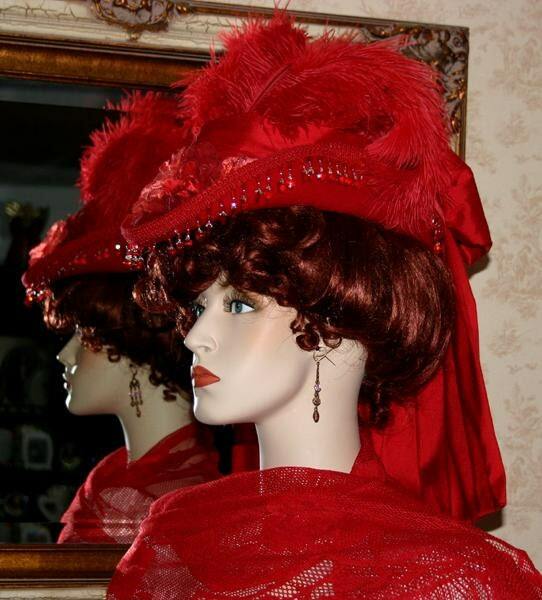 Victorian Hat Riding Hat "Spirit of St. Valentine" is a perfect hat for your Red Hat Society meeting or tea party. 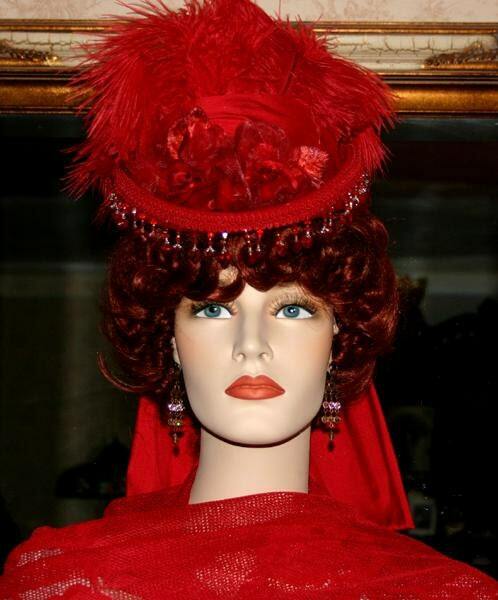 It's designed over a gorgeous soft red wool hat. 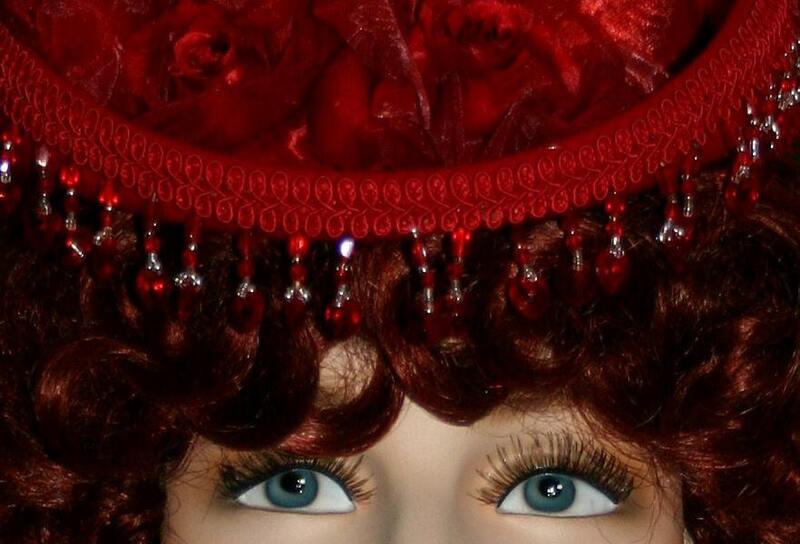 The edge of the brim is accented with french style red heart beads and red gimp. 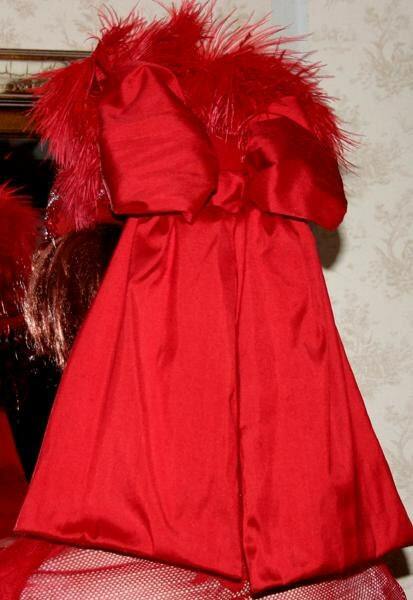 The hat band is red silk. 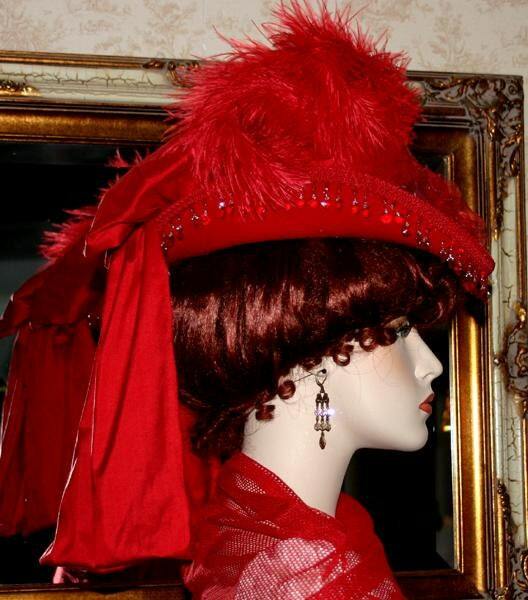 There's a two gorgeous old fashioned red millinery roses made of silk and organza accented with red satin leaves and lots of gorgeous fluffy red ostrich plumes billowing over the top of the crown.